Stephen is a Chartered Engineer and a Registered Fellow Professional Consulting Engineer with ACEI. 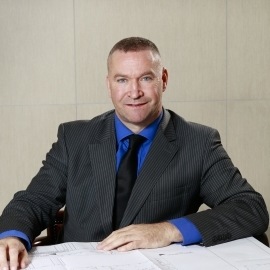 Stephen is also a Fellow of the Institute of Healthare Engineering & Estates Management. Stephen has worked in Building Services Engineering over the last 28 years on a range of large scale projects including Commercial, Educational, Healthcare, Hotel, Leisure and Conservation Projects. Stephen has particular experience in refurbishment projects within protected structures and understands the complexities and level of collaboration required within the project team. Stephen has worked on a number of high profile protected structures such as the Four Courts Dublin, Belvedere House Belvedere College, Dublin and Kilbeggan Distillery, Co Westmeath. Stephen is the Honorary Secretary for Institute of Healthcare and Estate Management, (IHEEM) and is actively involved in arranging informative seminars and events for all members of the Healthcare and Construction Industry, both public and private. Stephen has been a project director in charge of major Healthcare, Educational and Hotel/Leisure projects throughout Ireland, including St Vincent’s Hospital, Fairview, Dublin and University of Dublin, Trinity College.